People often say that Allan’s songs are remind them of the best Classic Rock. Allan says that he has aligned his “sound” with that older music, taking a song that you haven’t heard in a long time and giving it a fresh, new, unique take while keeping it true to its original framework. Those living giants and dead legends inspired him to develop a unique perspective and sound, after countless hours listening at their musical feet. As part of its mission to bring the arts to all communities throughout our region, The Exchange hosts a monthly Listening Room in its storefront art gallery on Main Street in Bloomsburg. Music ranges from regional Blues, Roots, and Americana musicians who perform in our intimate space up close and personal. 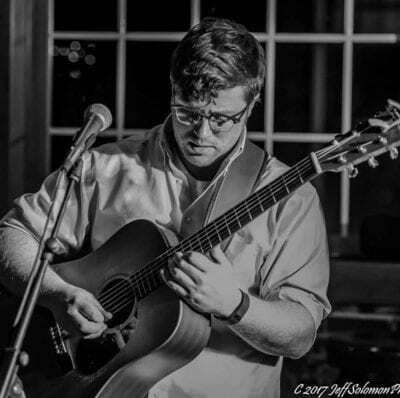 Solo artists and small bands, acoustic and electric – in an atmosphere conducive to enjoying and experiencing the music: just a few dozen concertgoers, the musician(s), and the music.